From the age of 12 when I read my first book on martial arts I have spent the last 37 years acquiring information, taking instructions, practicing and teaching what I have learned. I would like to thank all those who patiently guided me along this path and have encouraged me to create my system of combative applications. The foundation of my style is the Kajukenbo system. From that Grand Master Al Dacascos developed his system of Wun hop kuen do. My interpertation of that plus all other systems I trained in to include techniques and tactics from: Western Boxing, Muay Thai, Jun Fan Gung Fu, Filipino boxing, Kali-Sikaran, Kuntao- Silat, Kenpo arts, Jujitsu, Judo, Submission wrestling, Filipino Stick and Knife Fighting Arts of Arnis, Kali, and Eskrima are the basis for my system. The combination of all these arts has helped me formulate my own synthesis of training and teaching methods. Although I apply my personal method to teaching the concepts and principles of the other arts, I work hard to maintain the spirit in which I have been taught. My name is Ben Fajardo and I welcome you to Nubreed Martial Arts Systems. A blend of Southern Chinese Kung Fu, Northern Chinese Kung Fu, and Filipino Fighting arts with the Kajukenbo System, Wun Hop Kuen Do is a method as opposed to a style. Developed by Grand Master Al Dacascos it is an expression of his many years of research and development. Wun Hop Kuen Do (WHKD) is one of the most effective martial art for learning street fighting principles and techniques. The system incorporates a wide range of Martial Arts styles into a system of training methods which includes techniques and tactics from: Western Boxing, Muay Thai, Jun Fan Gung Fu, Filipino boxing, Kali-Sikaran, Kuntao- Silat, Kenpo arts, Jujitsu, Judo, Submission wrestling, Filipino Stick and Knife Fighting Arts of Arnis, Kali, Eskrima. All the arts are taught through fun and exciting phase classes. 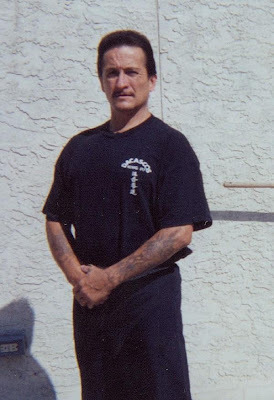 * 7th Degree Black Belt in American Kenpo- under GM Tony Martinez Sr.
http://www.makephpbb.com/nubreed/ Within that forum you will find information on various styles and systems that I have personally studied to some degree.